On 28 May, 2017, Anhui Pinqing 100,000T/A F55 fructose production line undertaken by Myande was successfully put into trial operation. On June 2017 the line started to yield qualified fructose which meets Coca-Cola quality standard. Since then, the complete plant has been in smooth operation with stable product quality. Myande provided integrated services including design, manufacture and installation of main equipment, including evaporation, ion exchange, chromatographic system of the entire production line as well as design, supply, and installation of the automatic control system. Established in 1999 in Taiwan, Pinqing Biological Technology Co., Ltd specializes in research & development, production, and sales of high fructose starch syrup. It is the first enterprise to produce syrup with fructose content of 55% and above in mainland China. Its main products include F42, F55, F90 and various other fructose products. 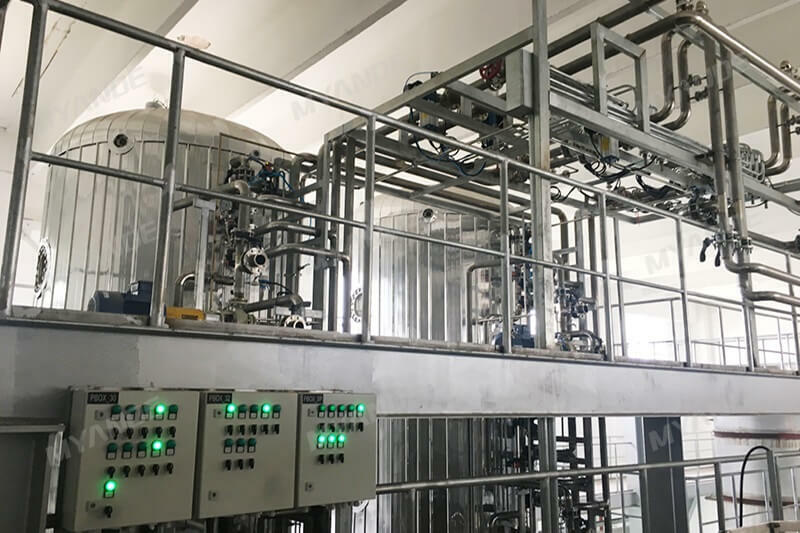 As long-term partner of Pinqing, Myande has undertaken quite a few engineering projects for Pingqing, which include supply and installation of all custom-made equipment in the syrup conveying system for Kunshan Pinqing, evaporation system for 100,000T/A F55 fructose, F00, F42, F55 syrup project, ion exchange and chromatographic system for 100,000T/A F55 fructose project, installation of DCS, MCC, instrumentation and cables for 100,000T/A F55 fructose project. After years of research & development and market application of starch sugar technology, Myande has formed a complete product design system capable of meeting highly individualized customer requirements. Myande is committed to providing integrated solutions in the fields of liquid glucose, crystalline glucose, maltose syrup, maltodextrin and fructose syrup.